Public participation training and mentorship of stakeholders. All public processes ranging from policy making, legislative process and ultimate decision making require the participation of the people. Public participation therefore a constitutional mandate of the government and is a guaranteed process that promote democracy by providing the public with the opportunity to take part in decision making process as stated in Article 118 (1) (b) and 196(1) (b) of the constitution of Kenya. H.E Dr Yulita Cheruiyot giving her remarks. Public participation entails informing, consulting, involving, collaborating and empowering the public and therefore gives the citizens a meaningful opportunity to participate. The process of public participation with its main beneficiaries being the public, is based on the belief that those who are affected by a decision have a right to be involved in the decision making process. It strengthens democracy, good governance, promotes transparency, enhances legitimacy and improves quality of decisions and policies. For effectiveness in the process of public participation and citizen engagement in the counties, the stakeholders need to be enlightened in all aspects of the process. Agile and Harmonized Assistance for Devolved Institutions (AHADI) Kenya is helping the counties in strengthening public participation through training and mentorship. Nandi County, being one of the 22 counties already benefiting from the AHADI capacity building programme, is putting in place better mechanisms for effective public participation. 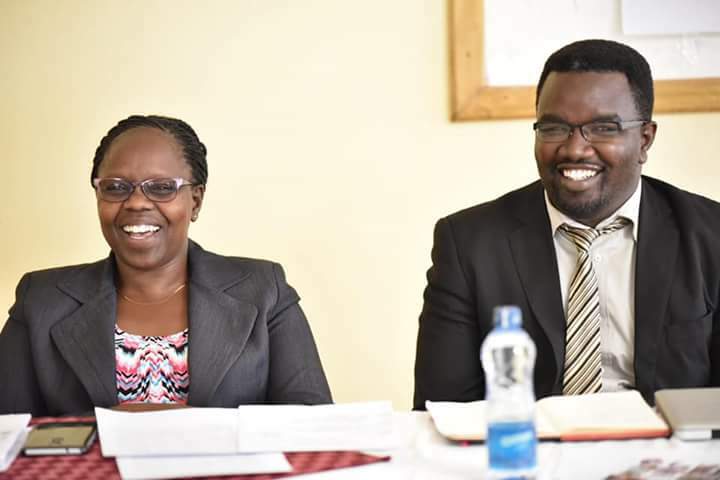 This capacity building programme kicks off with the training of Sub County, Ward administrators and legal officers in a seminar which was officially opened by the Deputy Governor Dr. Yulita Cheruiyot at Eden spring Hotel, Kapsabet. This seminar which commenced on 29th August is set to end on 31st August 2018 and some of the topics trained by AHADI Kenya are: reasons for public participation, public engagement and documentation, Public Expenditure Management (PEM), legal framework, stake holders analysis and mapping, county structure for managing public participation and public participation reporting. The training will also be extended to the directors, Chief Officers and the County Executive Committee Members (CECM) as part of the stakeholders.